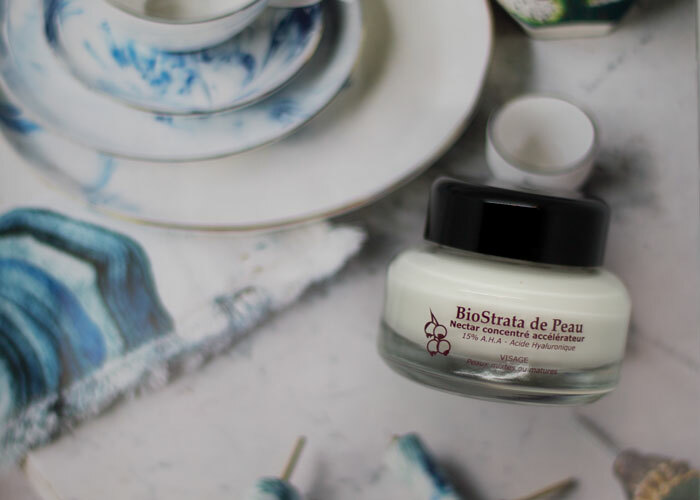 If you’re ready to streamline your evening routine with a cream that promises moisturizing, retexturizing and toning, BioRecept BioStrata de Peau should be at the top of your list. A savior for those of us battling both acne and the first signs of aging, BioRecept BioStrata de Peau takes advantage of glycolic, lactic and hyaluronic acids to keep skin bright, clean and hydrated. With 15 percent alpha hydroxy acid (AHA) in a base of aloe juice, shea butter, sunflower seed and jojoba oils, BioRecept BioStrata de Peau offers a potent blend that is still very gentle on the skin. As a fan of acid toners who is always nervous about how to combine them, seeing both glycolic and lactic in this formula made it an instant attraction. Hyaluronic acid, the queen of hydration that I usually use as a separate serum before moisturizer, sealed the deal on this one. As instructed, I used this cream every night for more than a month (I got through the jar in about six weeks of nightly use!) and woke up to extremely soft, brightened, less-oily skin in the morning. I noticed these effects after about a week of use. After six weeks, my skin was noticeably changed, with fewer instances of breakouts and dry patches. 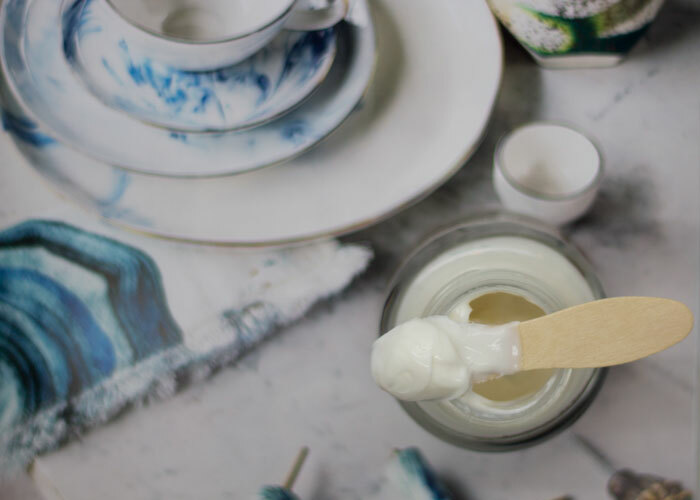 While BioRecept recommends using additional moisture or oil if needed on combination-dry or dry skin, my combination-oily skin was perfectly fine without any other product layered under or over this cream. In winter, I may consider using something atop this depending on my skin’s needs, but the true beauty of this product is the way it allows you to eliminate excess in your routine. Apply BioRecept BioStrata de Peau. Even if your skin needs a little extra splash of moisture, you are still able to eliminate targeted serums, as the AHAs in BioRecept BioStrata de Peau should take care of the most-popular skincare concerns. And, because the formula is fragrance-free, you can easily layer on a beautifully complex face oil to get additional aromatherapeutic benefits without conflicting with this formula. aqua (water), aloe barbadensis leaf juice*, caprylic/capric triglyceride, cetearyl alcohol, vaccinium myrtillus fruit extract, butyrospermum parkii (shea butter)*, glycerin, simmondsia chinensis seed oil (jojoba seed oil)*, helianthus annuus seed oil(sunflower seed oil)*, squalane, cera alba (beeswax), saccharum officinarum extract (sugar cane extract), cetearyl glucoside, citrus aurantium dulcis fruit extract (orange fruit extract), citrus medica limonium fruit extract (lemon fruit extract), acer saccharum extract (sugar maple extract), prunus amygdalus dulcis oil (sweet almond oil)*, sodium hyaluronate, tocopherol, xanthan gum, citric acid, dehydroacetic acid, benzyl alcohol. My main critiques of BioRecept BioStrata de Peau? As with all skincare products in jar packaging, no matter how chic it looks, I wish it were in a pump. And though my skin goes in waves with how well it reacts to oils, I do wish there was an oil-free version of this cream for those times when my skin is in overdrive. With that said, I’d repurchase and recommend this cream to anyone with combination-oily skin who would like to eliminate different steps, serums and acids for the sake of simplicity. What’s your favorite evening cream? Do you use AHAs or other acids at night? What do you look for in an evening skincare treatment? Tell me in the comments!